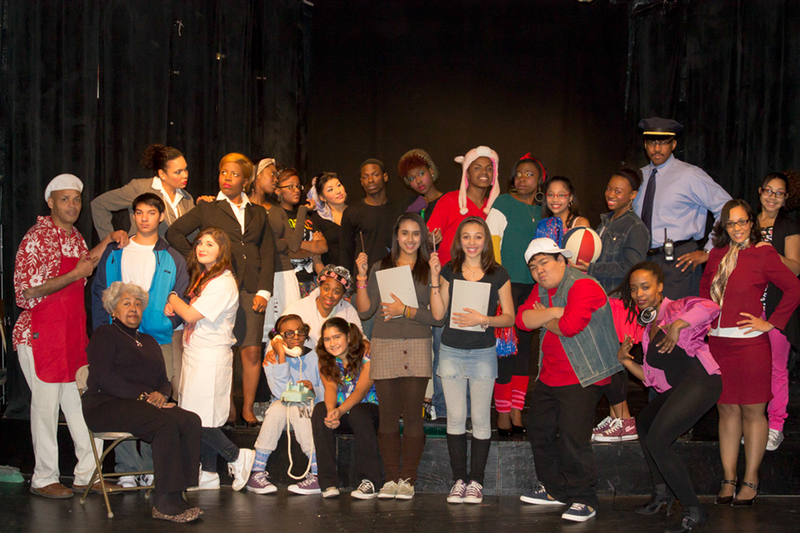 The Warehouse Ensemble is newly formed teen theater group with Bregamos Community Theater. We’ve been rehearsing since November and have recently welcomed the adult cast members of HOPE HIGH, Class of 84,’ our upcoming production set for MAY 10, 11, and 12, 2013. We are excited to be performing at Long Warf Theater this spring! To date, we’ve learned warm-up techniques to get our bodies ready for practice, drama exercises that help us develop our characters, we’ve exchanged gifts for secret santa, got our Warehouse T-Shirts, and went to see Shrek! The Musical at Shubert theater. Now its full rehearsal time. We’re switching gears and moving into rehearsals with the adult cast members. CASTING CALL: We have 5 spots for teenage boys (13-19) to play small roles in HOPE HIGH, Class of 84.’ Please call 860.840.2877 or email Sharece: smsmime@gmail.com to schedule an audition.